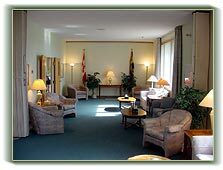 Rod Abrams Funeral Home Ltd. Services - Rod Abrams Funeral Home Ltd.
Rod Abrams Funeral Home Ltd. offers a wide choice of services, which will be individually tailored to meet your needs. We gladly welcome any questions or concerns you may have regarding these services. Please feel free to contact us directly or use our convenient online request form for additional information. Our friendly and knowledgeable staff are pleased to guide you through all your options and choices to help you make an informed decision to meet your individual needs, whether it be on an at-need basis or through pre-planning.